If you’ve ever felt the need to hide your neck under a turtleneck or struggled to wear a tie comfortably, then you understand why it’s so important to keep your neck looking young and smooth. Unfortunately, the neck also happens to be one of the first parts of the body to shows signs of aging. 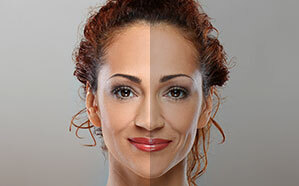 At Second to Creation, we want you to be proud of how you look; the drooping, sagging skin on your neck might obscure the real you, but with our neck lift, we can help you feel confident and whole again. Our neck lift is designed to reverse the changes that aging brings to our neck. Our neck has particularly fragile skin, and when our skin inevitably loses elasticity, the skin becomes incredibly wrinkled and droopy. The fat pads under the chin can also reposition and grow larger, which further accentuates a double chin. Even the platysmal bands, the two sheets of muscles that run up and down the neck, can eventually loosen, causing the development of heavy cords and bands on the neck. Second to Creation’s neck lift can remove that excess skin, tighten the loosened muscles, and eliminate excess fat. After a neck lift, you’ll be able to enjoy a more refined and youthful profile. Every neck lift with Dr. Machida will be performed using local anesthesia—that means a faster recovery, no nausea, no complications, and no neck tubes. The neck lift is also an outpatient procedure, so you’ll be able to have the surgery and head home the same day. To perform the neck lift, Dr. Machida will create incisions behind the ears and under the chin—all areas that can easily hide a scar. Then Dr. Machida will remove excess fat, remove excess skin, and tighten the neck bands. 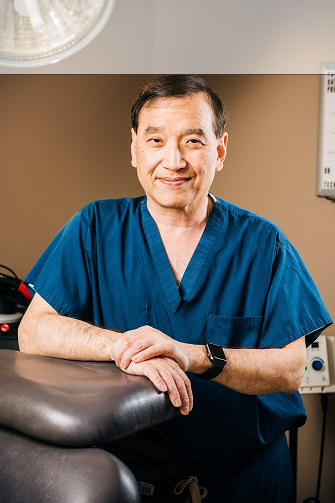 Rather than just pulling on the superficial tissues (which often leads to complications and an unnatural look), Dr. Machida will reposition the underlying tissues to create substantial lift. By addressing all the tissues that have been affected by aging, Dr. Machida can ensure that the results of the neck lift last as long as possible. Patients will be able to see an immediate improvement on their necks, but it will take some time before the neck fully heals. Patients should set aside time to recover: like around 7-10 days. Patients will be able to return to work once Dr. Machida clears them. During their recovery, patients are asked to refrain from strenuous activity and to keep their head elevated at all times. You might feel some swelling, bruising, and tightness around the treatment areas. Patients will be given prescription medication for any discomfort, but many of them find that the recovery is quite tolerable and only requires over-the-counter drugs. You can feel whole, balanced, and young again. If you’d like to know more about the neck lift, schedule a consultation with Second to Creation in the Inland Empire.